I’m still dreaming of teaching yoga on the beautiful Mendocino Headlands. Enjoy this guided Savasana with the sound of waves lapping on the shore and birds chirping in the skies. Follow the directions on the video for a breathing practice that helps you to become grounded, focused, and balanced. This week we’ll be taking a break from our core work and focusing on the mental aspect of being a singer. No one said being a performer would be easy. We have to be at the top of our game at all times. We have to be 100% focused, even when someone coughs or opens up a candy wrapper during the performance. There are no do-overs in the world of performance artist and everything we do is constantly judged. Anxiety attacks abound in this line of work as we never get a break from the stressors of attempting to achieve the illusive perfection. Every one of us has become overwhelmed by it all at one point or another. It’s human nature to buckle under all of that pressure. However, as singers, problems arise when fear, anxiety, or even just excited adrenaline get in the way of your ability to perform your best. Luckily, this meditation practice can help you to become grounded, focused, and calm. The real beauty of this practice is, once you ingrain the pattern into your memory, you can do this meditation anywhere. I always do it in the “green room” before a performance and none of the other perfomers have any idea I am meditating. When I have to sit on stage in full view of the audience and then get up and sing, I’ll also practice this with my eyes open. This focused breath helps keep me from worrying or running through my lyrics for the millionth time and getting myself into a nervous dither. I adore the simplicity and focus of this meditation and that it reminds us to breath deeply, something many of us forget to do when nervous and adrenaline rear their heads. I hope this practice helps you. Try it the next time you feel flustered and still need to sing. As always, feel free to send me any questions you may have! Yogic chanting is a profound and sacred act. It is a chance for me to let go of the need to perform–the need to prove myself vocally–and to just enjoy the bliss of letting loose my soul through song. During my Junior year at USC, my artist roommate dragged me along to her yoga studio in Hollywood in the hopes of alleviating my vocal stress-induced anxiety attacks. At the end of that first candlelight evening yoga class, we were asked to join our voices in the sound of an OM. I opened my mouth, inhaled, and let out a sound that reverberated around room and shook me to my core. I honestly did not know that I could produce such a sound. It was such a change from the thin and strangled sound that I was producing in my voice lessons. Free from tension, free from the need to “try,” my voice bellowed like an uncaged beast. As all the other voices in the class faded away, my own continued on as I could not stop the amazing sensation of freedom in my voice. As my breath finally ran out, two giant tears rolled down my cheeks. I felt such gratitude for this brief glimpse into vocal and physical freedom. Though, at that time, I was unable to replicate this freedom in the practice room or in my lessons due to my uncontrollable perfectionism, I knew that freedom was possible and that yoga studio became my sanctuary from the stresses of a vocal arts degree. 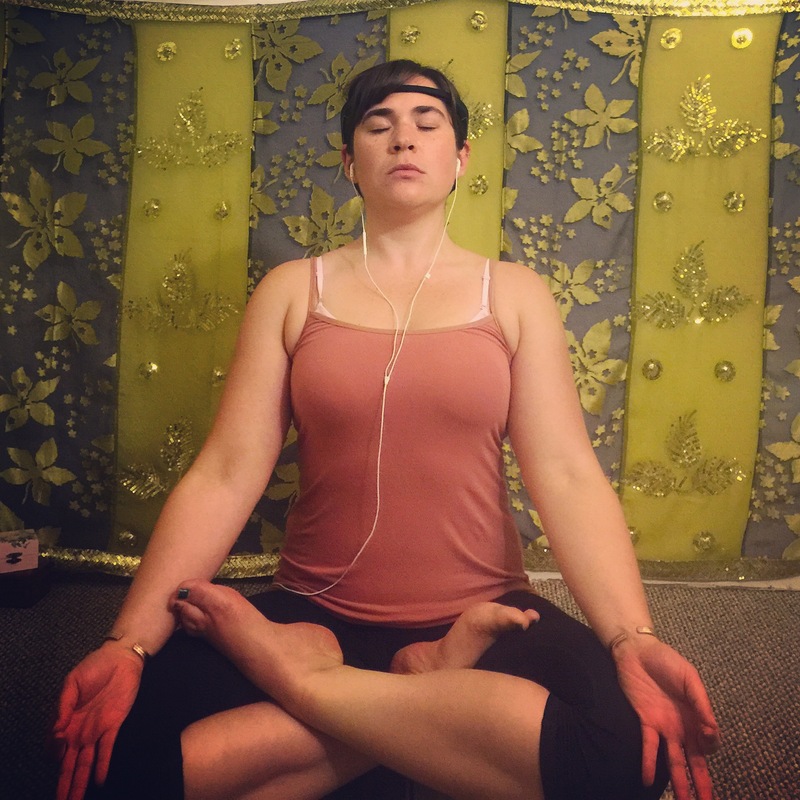 Years later during my immersive yoga teacher training program at Frog Lotus Yoga, I rekindled my love affair with yogic chant. After our daily meditation sessions, we would join together to sing a chant, taught by the head instructor. It was 6AM and there we were croaking through the daily chant, many of my fellow yogis very out of tune. Even with the pitchy singing and early morning voices, there was so much joy in our chants. We felt connected, free, and easy. We sang love. I created a special kinship to this particular chant “Jai Ganesh” as it praises the remover of obstacles who often puts obstacles in our path to force us to make changes in our lives. This reminds us that every hardship is a blessing which we can learn and grow from. By reframing our major life challenges (failed auditions, memory slips, vocal troubles, and the like) as opportunities to learn and make changes, we lessen the toll such experiences have on our psyche. Everything happens for a reason, but it is up to each of us to find that reason and learn from it. As the countdown to my 30s continues, today I am grateful that I’ve calmed my frantic, frenetic mind with meditation and I know the inner workings of my body and mind more than ever. I’ve been plagued with an overactive mind my entire life. I grew up an insomniac. I would lay in bed for 3-4 hours each night before finally easing off to sleep. My mind would race, flitting from one subject to another, full of ideas and lists–some productive, some not so productive. I wrote songs and stories and plays as I layed in bed all evening. I worried and fretted over tiny details; I relived painful memories and stressful situations. I spent my life constantly waffling between hyperactivity and utter exhaustion. My inability to focus followed me through my college career and held me back during my vocal training. I spent most of my voice lessons worrying, fretting, trying to be perfect, and do everything my teachers asked of me that I became more and more tense which caused further vocal difficulties. It became a vicious cycle where I wasn’t even listening to what my teachers were saying because my inner monologue was screaming so loudly telling me all the things I was doing wrong and overthinking every minor adjustment. Most days, I simply broke down in tears, overwhelmed with the viciousness of my mental process. Finally, after 6 years of intensive yoga study, I’m making progress at quieting that constant inner critic. I’ve started to recognize when the mental wheels start spinning out of control and I now have the tools and exercises to bring myself back to center and find my focus. I will likely always have difficulty keeping my mind from moving into an energetic frenzie, but it’s a blessing to be in control of my own mind. Here’s to this new decade of peace, deep sleep, and mental wellbeing. 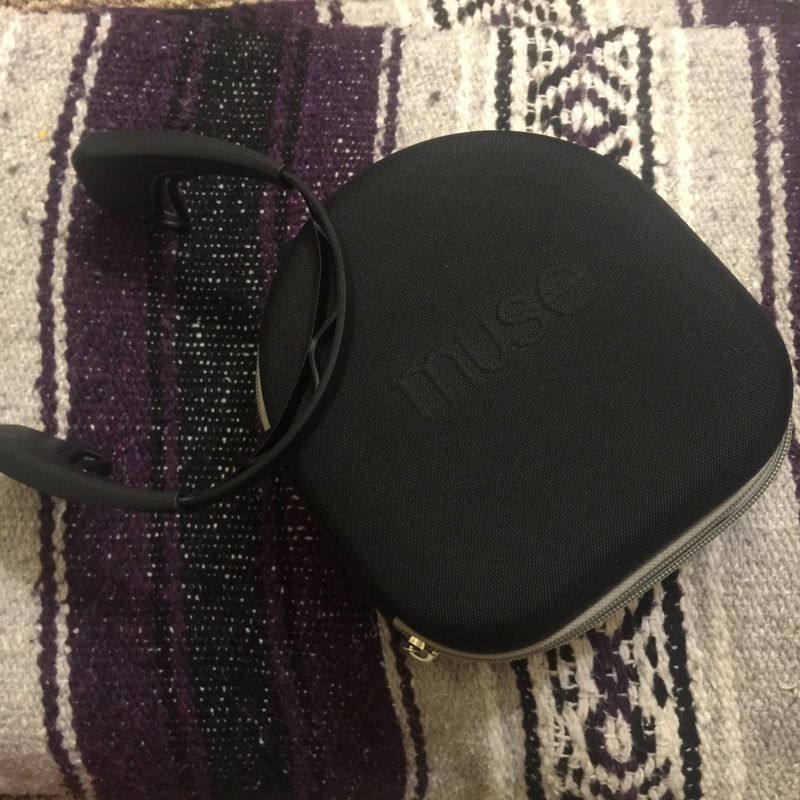 One of my favorite meditative tools is my Muse meditation headband. This biofeedback support reads my brainwaves as I sit and breath, transmitting the intesity of my mental activity into gentle sounds such as raindrops, wind, or waves. This helps me to become more aware of the thoughts as they pass through. Recognizing my mental patterns allows me to focus on recovery and bring myself back to my breath while letting all else go. I am deeply indebted to my meditation practice for changing my health and my life. This is the week of the whirling dervish Marissa. As preparations commence for my participation in The Napa Music Festival, I find every second of my day scheduled as I struggle to be musically, physically, and mentally prepared for the task ahead. Lists have been made, practice CDs have been drilling themselves into my brain during my daily commutes and in my earbuds, and I’m scrambling to put my everyday life on hold for 25 days. Riding an adrenaline high, I’ve been amazingly productive over just a few days, but sometimes even whirling dervishes need to be thrown out of whirl. (See what I did there? Julie Andrews would be proud.) It’s times like these that I am greatful for my yoga and meditation practice. I remember back to a time when my life was always lived in this state of constant agitation and anxiety and am surprised that I ever survived it. Too amped up to sleep, too nauseous to eat, too franetic to sit still, I lived the first 24 years of my life in a perpetual panicked fight-or-flight mode. While I still find myself toppling off my center with my mind racing out of control in pre-performances and high stress situations, I now know how to deal with that energy. I can channel that energy and put it to good use without allowing the adrenaline to control me. When we use that energy rather than keep it bottled up inside us, it enhances our performances, it allows us to make great progress and extreme focus in a short period of time, and it helps us to react quickly to new situations and experiences. But, if we can’t find the off switch and allow the body to simmer down when that heightened state is no longer necessary, burn out will ensue. Sometimes all it takes is a focused breath, a shift of awareness, a softening of the shoulders, and a closing of the eyes to remind the body that we are safe and everything is going to be ok. Sometimes it takes working up a sweat on the yoga mat for two hours or hanging out upside down in an inversion for awhile. Sometimes it’s a hot bath and a glass of wine. Sometimes it takes a full day at the beach, staring at the waves and contemplating how cool it is simply to be alive. Whatever your off switch is, use it. Use it often. Soften the frayed edges and let yourself regroup. Take a breath, then get back to work. Your body and your mind will thank you. #yogagivesbackchallenge day 17: ustrasana/camel pose. With music in my blood and yoga in my bones, I find balance and strength. “We tend to be busy all day, and when we come home we continue to be busy. We cook; we clean; and we putter around. Or we are so tired of being busy that we want to do something mindless and easy, like watching a television show, or taking a nap. Then, we go back to being busy again. There is a way to feel refreshed and alert without being busy. All we need is a gentle reminder – a location, an image, or a sound – to help us return home to ourselves and pay attention to what is there inside us and around us. We can touch the present moment in all its fullness and joy if we simply have a place, and a way, to stop. Stopping the random progression of thoughts is the first step in our meditation practice. I am definitely guilty of the aggrandizement of busyness. 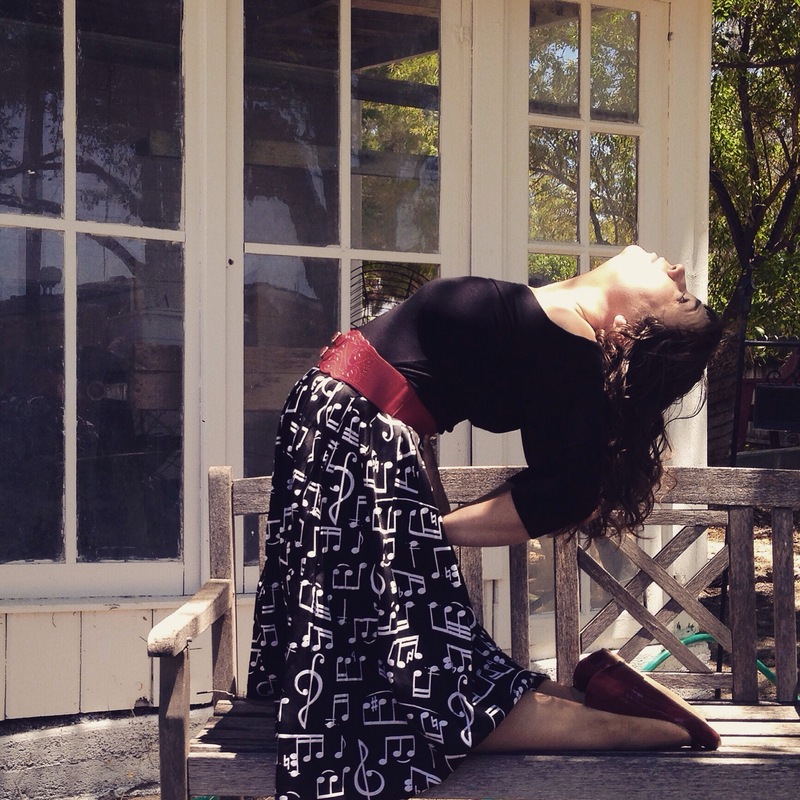 I literally run from teaching yoga to teaching voice lessons every day. I race from place to place with barely the time to have a sip of water or eat lunch. When I’m not teaching, I’m practicing, rehearsing, researching, or going home to prepare for the following day. Then I sleep (hopefully) and start the process all over again. I often find myself addicted to this life of busyness. If you take away my to-do list, I will somehow come up with other things to do, create, and achieve. I’m hooked on productivity. Usually, I see this as a positive thing. I am constantly striving towards self-betterment and moving towards my many goals and aspirations. My busy work isn’t useless shuffling about. It is work that teaches me things or helps me to create. But, sometimes, my brain and my body need a break from the incessant busyness. Sometimes I just need to stop, not look at the clock for a full day, and just be. Free from deadlines, work, and mental stimulation, I can let my mind simmer down to at least a dull hum. While my body becomes bored and ansy, my brain expresses its thanks for the much-needed silence. So, rather than complaining about my canceled plans and the day spent hermiting, I give thanks for a day of rest, rejuvenation, and relief. Tomorrow I’ll be back to my frantic and frenetic energy level; but today I’m enjoying these moments of nothingness. (At least I’m trying to.) Singing bowl, singing soul.